Humboldt County is in the midst of economic transition and although there’s a local perception of decline, there are many signs of growth and progress. Located on the Northern California coast about 290 miles north of San Francisco, Humboldt has a population of about 130,000 and is famed for its redwood forests and, perhaps equally, its cannabis production. The county’s timber and cannabis industries figure prominently in discussions of the economy, with both described as having fallen from peak performance. The local focus is often on the downturn of the county’s former economic linchpins, but Humboldt’s economy is thriving in some ways as it diversifies. Changes in the local economy are quantified by the Humboldt Economic Index or composite index, which is compiled by the Humboldt State University (HSU) Department of Economics. In August, it was down slightly from July and 2.4 points below where it was last year. That’s due to changes in the retail and hospitality (hotel and restaurant) sectors, which are down from last year by 7.2 percent and 14.7 percent respectively. The County is growing jobs. According to data from the California Employment Development Department, industry jobs rose by 900 in the last year, health care, education and government each added 200 jobs and several other sectors, including manufacturing and construction added 100 jobs each. The county’s unemployment rate was 3.1 percent in September, ranking Humboldt at number 12 among the state’s counties. But when you look closer, there is concern. Gregg Foster, the executive director of the Redwood Region Economic Development Corporation (RREDC), said that while the county’s labor force is now stable, it is smaller than it was several years ago. It’s uncertain whether it’s related to retirements or people dropping out of the workforce for other reasons. “It’s important to know that to understand what’s really going on with the employment picture,” said Foster. The composite index also reports that help wanted ads increased by 22.1 percent in August and employers are said to be looking for people to fill job positions. The county is responding to the need by promoting vocational education and college readiness. A $1.5 million contribution from the county’s Headwaters Fund is paying for the Decade of Difference initiative, a collaboration between the Humboldt County Office of Education, HSU and College of the Redwoods. 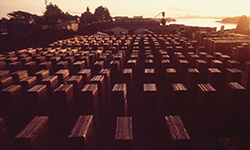 The impact of losing timber-related businesses has affected supporting industries. The Arcata-based O&M Industries industrial construction company is a family-run business that was founded in Humboldt County in 1946 and now has California satellite offices in Fresno and Princeton, and regional offices in Medford, Oregon and Crane Hill, Alabama. Rob McBeth, the company’s president, said “the amount of work being done nowadays compared to 10 or 15 years ago on the industrial side in the county is maybe 25 percent,” due to the losses of lumber mills and pulp mills. The county also has limited ability to accommodate a greater workforce. Housing, particularly affordable housing, is lacking and Connie Stewart, the executive director of the California Center for Rural Policy (CCRP), named the ability to recruit talent and the county’s quality and quantity of housing as the greatest challenges to industry growth. Strides have been made in broadband access in the last several years through the efforts of Redwood Coast Connect, a partnership between CCRP, Access Humboldt community media, RREDC and Humboldt, Trinity and Del Norte counties. With grants from the California Advanced Services Fund and local fundraising, multi-million dollar projects are providing or have provided Humboldt’s outlying communities with fiber optic cable installations. 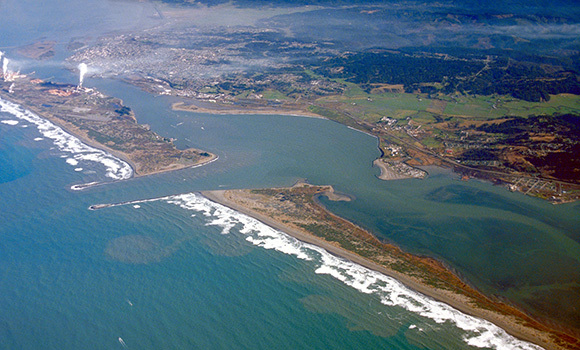 Completed projects include establishment of redundancy in the Humboldt Bay area. Despite the challenges, Stewart describes Humboldt’s economy as healthy. She was asked about the prevalent belief that the economy lost its luster years ago and is now undermined by the effects of cannabis legalization. The now-legal cannabis market does offer opportunity to those who can afford the permitting and taxation start-up costs. But prices have dropped and in certain communities – particularly Southern Humboldt, where well-established grows in watersheds are now at a competitive disadvantage – legalization is an economic threat. The county is supporting the emerging legal cannabis industry and so far about 250 cannabis cultivation and business permits have been approved in unincorporated areas. Legalization has also created a new professional services market, as numerous consulting firms offer guidance on navigating the local permitting and state licensing processes. County Supervisor Rex Bohn, chairman of Rural Counties Representatives of California, views the cannabis industry as only one part of a diverse economy that’s supported by the presence of College of the Redwoods and HSU and health care facilities like St. Joseph Hospital. Innovation is part of the county’s business culture, said Bohn, adding that forest products are still an economic force. “Whether it’s manufacturing redwood decking in a way that’s never been done before like Simpson [Timber Company] did or being the number one producer of redwood fencing in the world – which never gets mentioned,” he said. Bohn also highlighted the county’s strength in niche manufacturing. That sector includes Kokatat, which makes watersports gear, and Wing Inflatables, whose polyurethane rafts are widely used by the military and in the commercial marine industry. Each employs up to 150 people. The county also has a deep water port – which is key for two major wind power project proposals -- and a former pulp mill on the bay has been cleansed of toxics and re-purposed into an industrial park. Humboldt also is also famed for its mariculture and is the state’s number one producer of oysters. Bohn also noted the county’s number of well-known microbreweries and craft food producers. He acknowledged that “we are on an island—288 miles away from the nearest gas rack” and its remoteness contributes to a higher-than-average gas price of up to $3.95 per gallon as of late October. Daniel Mintz has been covering Humboldt County government as a freelance reporter for almost 20 years. He regularly writes for the Independent, Mad River Union and Ferndale Enterprise newspapers and produces news reports for Redwood Community Radio.